Powder Room hanging Italian commode Italian vanity German Grohe and porta fittings Spanish tile walls tiled golden colore & flooring tiled electronic mirror. Out side wall land escape most beautiful view design sitting area fully with chairs and table beautiful view. SCAVILINI fully loaded Italian TEKA German appliances kitchen A/C installed white Korean sheet fitted also spacious dirty kitchen with store. Master bed on front terrace and little gallery OAK imported laminated wooden flooring poshish wall a/c and heating system installed imported furniture’s imported curtain imported Italian chandelier imported fan and imported all accessories with attached bath imported wardrobes mosaic stone walls Italian catalano vanity and Italian catalano hanging commode German Groh porta fittings heating system access to open terrace gallery. Central open terrace with sitting area fireplace waterfall bar b area plants most beautiful look best sitting for all family imported furniture’s fitted. 2nd bed OAK imported laminated wooden flooring poshish wall a/c and heating system installed imported bed’s furniture curtain with attached bath imported wardrobes walls Italian vanity German Grohe porta fittings Italian catalano vanity and Italian catalano hanging commode heating system access to open terrace. Child’s bed OAK imported wooden flooring Italian chandelier Italian 2 royal beds for babies Italian chandelier a/c and heating system installed sound system imported curtain dressing table side tables sofas with attached bath rain shower cabin Grohe fitting with hanging Italian catalano commode and catalano Italian vanity heating system Spanish tiled flooring imported brand wardrobes sunlight area. 10 Marla Self- Constructed Bungalow For Sale Phase 2 DHA Lahore. – Good sizes of washrooms with large wardrobes in it. – House location is excellent. Main hospitals are so nearby that hardly just 5 minutes away from the premises. – Exclusive views from the terrace. – Bar b q area provision in the main lawn. Bar b q area can also be managed at the upper portion. – Underground water tank installed. – Club Community Center and graveyard is just 5 minutes away. – All the basic necessities of life are available. 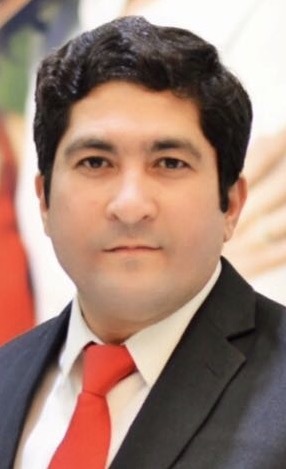 – All the basic utilities are available including connections of water/sewage/gas and electricity. 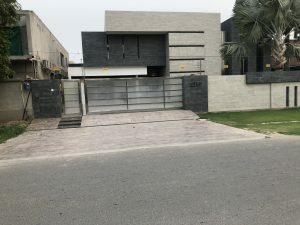 That not it, The house is located in DHA Phase II which is one of the most posh areas of Lahore and this location is perfect for anyone and everyone as it is positioned close to major commercial areas, mosques, parks and famous restaurants. Also, you can directly approach the location from the main road. Overall, the area exudes a sense of organized planning and disciplined construction, thus making it an excellent place to live in with your family. Phase II is very disciplined phase in terms of approach to various markets/mosque/hospital/restaurants. Every utility is so nearby that one should prefer to live in phase II. House is being offered at a very reasonable price if we compare it with brand new homes and their prices. The House is uniquely designed and elevation is one of its kind if we compare with other houses and remarkably built with solid construction. For the Further details Please Contact us.